Have you ever wanted to get a hold of products you just can’t find in the US? Maybe you long for an authentic Henna art set handmade in Bangladesh to use in your next artsy project, or perhaps it is that colorful and elegant hand-stitched Vietnamese formal gown you admired when you went to Hanoi that you want. No matter what it is you want to shop for, and no matter where it is in the world, the new tech startup, Backpack, can help. The world is a huge and diverse place, and Backpack lets you take advantage of that diversity by putting the global market directly at your fingertips – without a ridiculous cost increase. Members of Backpack’s global network can take one of two roles: buyers, who are people who want products from overseas, and travelers, who transport those products and make a bit of money out of the deal. By connecting with one of Backpack’s ever-growing network of international travelers (read 3.4 billion trips per year), you can find someone to bring your favorite products from overseas to you. The traveler may charge you a small fee as a compensation for luggage space and the effort it took to find the product, but the small fee is certainly worth the buyers having their favorite products from anywhere in the world. The fees received by travelers delivering backpack products provide the opportunity to make international travel more cost-feasible. By joining Backpack’s network of travelers and arranging to bring items overseas to people at your destination, one can earn some money to offset the cost of an international air ticket. If you’re studying abroad or taking a vacation to South America, for example, you could earn hundreds of dollars to offset your travel costs just by carrying a few Macbooks in your luggage. 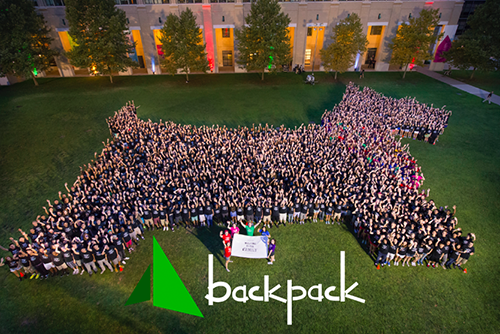 The artsy and upbeat spirit of Carnegie Mellon’s student body makes it very important that the students are informed about Backpack and what it does. Whether you are an artist or just a creative person, having convenient access products from all around the world will make the world a more colorful place. As Carnegie Mellon’s international student body makes up a gigantic portion (over 18%) of the total student population, as compared to most other schools, knowledge of Backpack and the ways in which it can help foreign students is very important. Whether it is by bringing locally produced products from overseas to Cornell or by making visits home less expensive, Backpack is an invaluable tool for international college students.